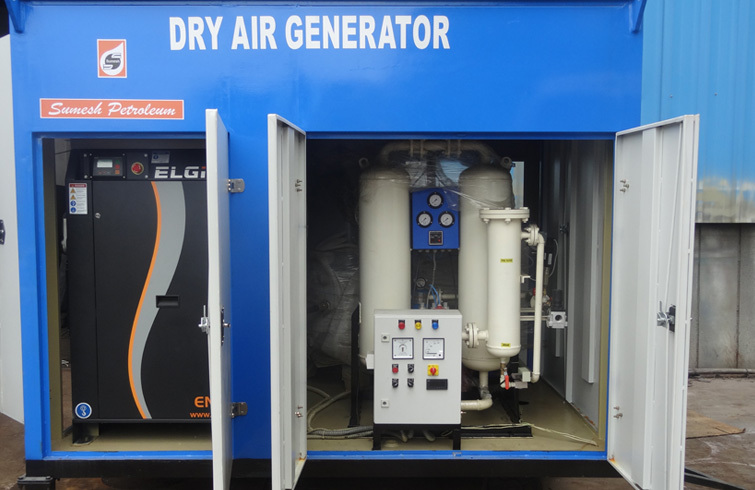 Sumesh Petroleum are the manufacturers of Dry Air Generator for moisture removal in air. These generators are designed to suit the transformer application with additional refrigeration air dryer, auto drain valve, carbon filter, and after filter and ultra fine filter for removal of particles upto 0.1 Micron. Heatless compressed air dryer is the desiccant type Air dryer for achieving a dew point of -700C or better. Sumesh Petroleum is pioneer and a trusted manufacturer of dry air generators with numerous installations all across India and abroad. 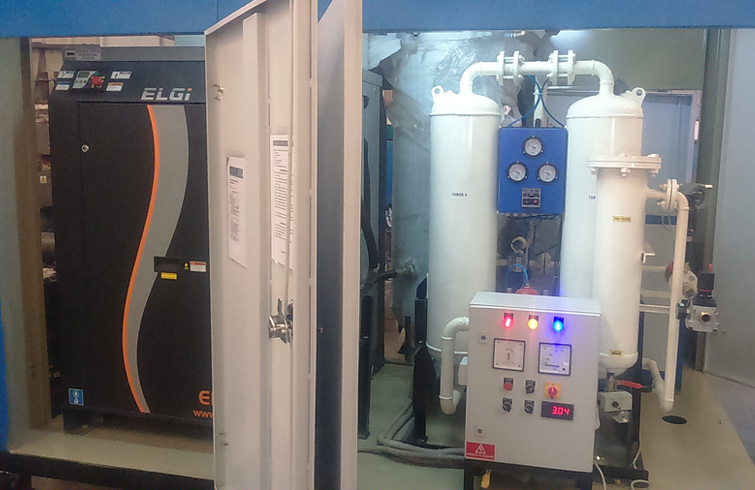 These dry air generators installed are performing with ultimate satisfaction. Sumesh petroleum is equipped with prompt service team and backed with a team of dedicated engineers and technicians. 5. Economic and Low maintenance system being regenerative type. Why dry air is required in transformer? 1. No atmospheric air enters the transformer by building a positive pressure in the transformer, when the transformer is opened during fitting of the accessories. 2. Dry air can be used to facilitate manpower during internal fitments of the transformer. 3. It safeguards the atmospheric moisture entering the transformer thus helps to retain all the drying process done in the transformer at transformer factory.